During the struggle you learned from an open contracting watchdog that five wealthy families are the beneficial owners of over half of the new airport’s contracts, many without having to bid. One of these families also directly finances the project, not to mention numerous revolving door cases between the airport regulator, construction companies, and creditors. Now the new government must take losses to exit these contracts. You also learned that international bondholders and securities investors are reticent to accept the government’s liquidation terms. Furthermore, credit-rating agencies have downgraded Mexican bonds and issued warnings about planned megaprojects. 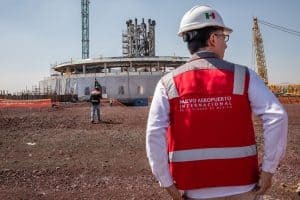 The new international airport – one of countless examples in Mexico and around the world – highlights twin challenges for fiscal governance everywhere: the end of sovereignty and the influence of corporate power. The power of transnational corporations and global economic and monetary institutions to influence national budgetary and financial decisions, including bond issues, debt pricing, and access to credit, is overwhelming. Similarly, the risk in any given country of the corporate capture of State decision-making is real, whether over public contracting, infrastructure financing, or the regulators themselves. Facing such obstacles, as a Texcoco resident what reasonable expectation do you have that fiscal governance – both the supply of information (transparency) and the demand for results (accountability) – operates in the public interest? The answer to your question has everything to do with an economic system larger than any one country. To tell from the recent World Economic Forum in Davos, fiscal governance is not the topic du jour, nor is the transparency and accountability advocacy practiced by NGOs, philanthropists, and academia. Instead, big business is most preoccupied with the state of global capitalism. Its concern is whether corporate leaders, investors, and the Bretton Woods network of multi-lateral institutions can hold open the floodgates of the world market. Its preference for global leadership favors market-based solutions, not State action (except for police actions in times of perceived crisis). The main effect of the shift of global capital away from nations as champions is none other than the palpable end of national sovereignty, not only over all things economic, but over public goods and spaces writ large. Where modern liberal politics once existed to defend the commons, today our postmodern world privatizes the public square and exalts private property above all else. This is our new normal, with real implications for fiscal governance everywhere. For advocates the question should be: isn’t it time we focus our transparency and accountability efforts on the economic system and the power of global capital? The void of national sovereignty, to a great degree caused by global capital and its institutions, has essentially been filled by corporate power. Today, State decision-making – once the manifestation of the public interest – to a varying degree has been captured by global capital and transnational corporations, whereby an oligarchy – through a revolving door of influence between government and business elites, often illegally – obtains and maintains among a privileged few decisive influence over everything from macro-economic policy to procurement. The campaign to defend your community against the new international airport is an ostensible victory, but somehow feels hollow. This past time elite families benefited disproportionally by winning public contracts. The interests of transnational bondholders, investors, and credit-rating agencies seemed to come before yours, the people of Texcoco. And if not for a change in government the weak State captured by corporate interests would’ve imposed the megaproject over your best efforts. You have no assurances that this situation won’t repeat itself in the future. What role, if any, should fiscal governance play to assuage your fears? As advocates, our work is at a crossroads. One path leads us to expand our transparency and accountability efforts to the network of companies, investors, and institutions that propagate global capital, incorporating analyses of power and corporate capture into our work, refining and enhancing our governance efforts at home and abroad. Another path – the one we’ve followed until now – leads us to more of the same: diminishing returns in our national strategies as declining sovereignty and increasing transnational corporate power render our efforts irrelevant. I choose the former. If a fight to reclaim the public interest awaits us, we must boldly but intelligently confront the twin challenges that lie before us. Our efforts must address the human rights concerns of the people of Texcoco. We must learn from and build power with social movements that seek equality and justice, including communities, workers, indigenous peoples, feminists, and many more. We must change the social norm for expectations of fiscal governance, away from technocratic fixes and domestic government engagement to a wider embrace of research, organizing, and accountability efforts. We must make ours a cultural movement for change to re-territorialize the global landscape with postmodern alternatives to global capital. We must think and act globally, as global citizens. As advocates we must also engage critically though constructively with one another to ensure that our efforts do not unwittingly play into the hands of global capital, a system that has proven itself masterful at creating, adapting to, and benefiting from social division and tensions. If we’re smart, we will learn to use a variety of tools, including many contained within capitalism, as weapons in our fight. Shareholder and proxy strategies, expanding ESG (environmental, social, and governance) indicators to include fiscal governance, domestic financial reform legislation, beneficial ownership disclosures, whistle-blowing laws and protections, human rights impact assessments, and so many more means will help us achieve our end. What will be our new commons, the public square, the public interest re-imagined? To my way of thinking we must “rage, rage against the dying of the light.” As New York City mayor Bill de Blasio said upon Amazon canceling its headquarters expansion in Queens, “We just witnessed another example of what the concentration of power in the hands of huge corporations leaves in its wake. Let’s change the rules before the next corporation tries to divide and conquer.” Fiscal governance will again be relevant – yes, even to the people of Texcoco – and will operate in the public interest when we expand and organize to make it so. Let us prove that democracy is anything but window dressing for capitalism. Benjamin Cokelet is Founding Co-Executive Director of the Project on Organizing, Development, Education, and Research (PODER), a regional not-for-profit, non-governmental organization whose mission is to improve corporate transparency and accountability in Latin America from a human rights perspective and to strengthen civil society stakeholders of corporations as long-term accountability guarantors.